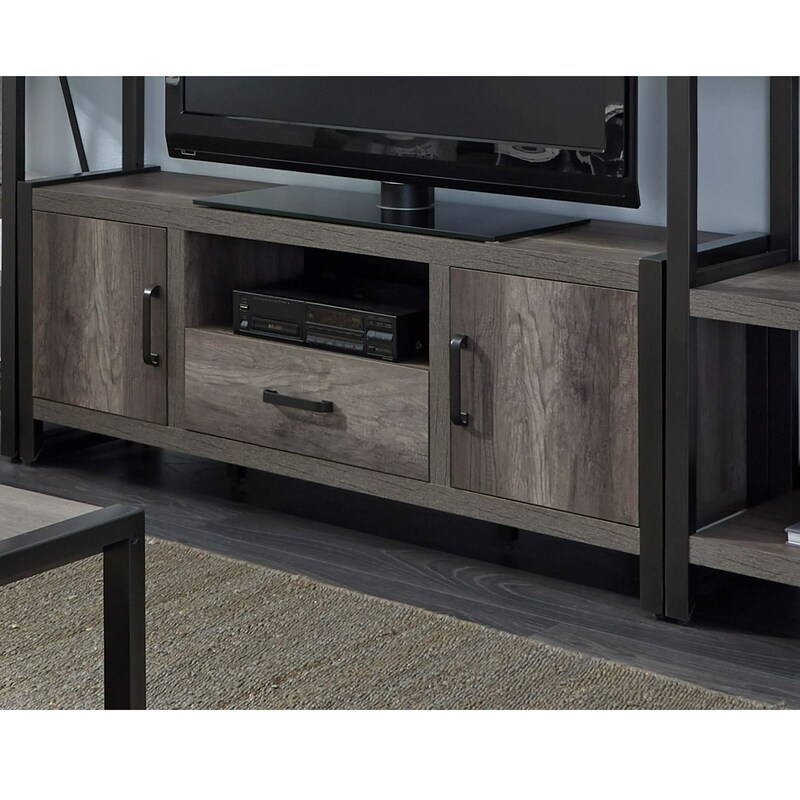 TUrn your living room into the entertainment destination for all your friends with this contemporary entertainment TV stand. 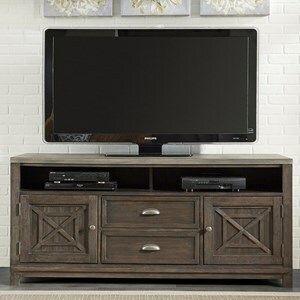 At 63 inches wide this TV stand will provide plenty of space for you to set your television. 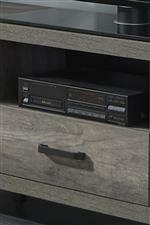 The center opening provides the perfect easy access space to store your video game consoles or other media player. The doors on either side of the stand open to reveal an adjustable shelf, which in combination with the middle drawer provides you with plenty of space to store all of your favorite movies and video games. 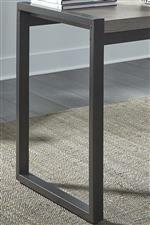 Simple modern style seen in the greystone finish and dark pewter bar pull hardware will complement the look of almost any contemporary living room. The Tanners Creek Contemporary Entertainment TV Stand with Open Media Compartment by Sarah Randolph Designs at Virginia Furniture Market in the Rocky Mount, Roanoke, Lynchburg, Christiansburg, Blacksburg, Virginia area. Product availability may vary. Contact us for the most current availability on this product. 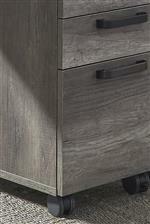 The Tanners Creek collection is a great option if you are looking for Industrial Contemporary furniture in the Rocky Mount, Roanoke, Lynchburg, Christiansburg, Blacksburg, Virginia area. Browse other items in the Tanners Creek collection from Virginia Furniture Market in the Rocky Mount, Roanoke, Lynchburg, Christiansburg, Blacksburg, Virginia area.